Have you watched the announcements from the 2017 Young Living convention? They've been all over social media, everything for the past couple weeks. Seriously? It's bananas. I was sitting on my couch, watching pictures and videos pop up on Facebook like fireworks and I could literally only say one thing every time something new was announced. "WHAT?" I'm a little beside myself. I've gathered images to give you a look at what's new. Friends. SO MUCH GOOD!!! This is the intro set. Mascara will be coming sometime in August, I heard, and more products will continue to be added to the line over time. Never be afraid of using Young Living products with infants again. 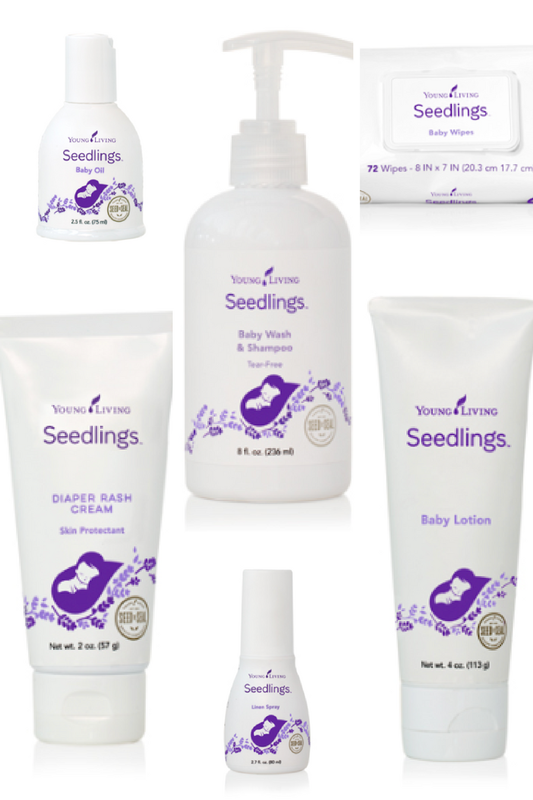 We finally have a line of items that are safe for baby and made specifically with their delicate skin in mind. Friends! There are even MORE new items. A new oil blend, insect repellent, sun screen, a new diffuser, Lavaderm after sun spray, Shutran 3-in-one wash, super-cal plus (calcium), Aminowise (muscle support), Alkalime (digestive system support). I can't. It's all so exciting, I can't choose one favorite. Listen, kicking the chemicals out of your house it totally possible. 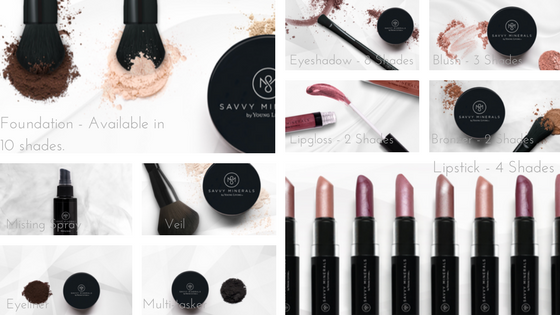 Start small, begin with a kit, and let me (and my amazing team) walk you through using what you have to replace the chemicals in your home. It's so important. 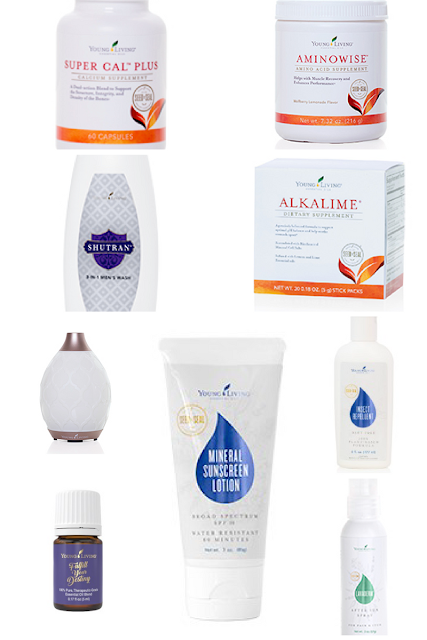 Too many reports are coming out saying that what we're using on our skin, in our bodies, on our countertops, on our glass, etc is killing us. We're not helping ourselves by sticking with what we've always known or what is on the shelf. Let's team up, you and I. Let's work together to get one thing at a time switched out for a better, natural, chemical free option. **Marketing disclaimer: The link I share may be an affiliate link. I may collect payment from purchases made. **Essential Oil Disclaimer: The info I shared is based on my own research and experience(s) with Young Living Essential Oils. I am not a doctor. The FDA has not evaluated my statements, the products I've mentioned, or even the technique I use. Therefore, these statements are not made with intent to diagnose, treat, cure, or prevent any kind of ailment or disease. Please have a conversation with your doctor before introducing these if you are pregnant, nursing, taking medication, and/or have any kind of medical condition. I'm simply sharing information and my personal story for readers to use as a reference in a "take it or leave it" fashion. My hope is to motivate you in learning more about essential oils as they may pertain to your own life and/or family. Please do your research as you see fit. I am a stay at home mom of 3 who enjoys writing, shopping, traveling, enjoying time with my family, and a good DIY every now and then. Another fun way to pass time is driving and hiking out to waterfalls or gardens to take photos. I am so glad you stopped by for a visit today. Drop me a comment and we can chat there. I'm so happy you stopped by today. What's on your mind?